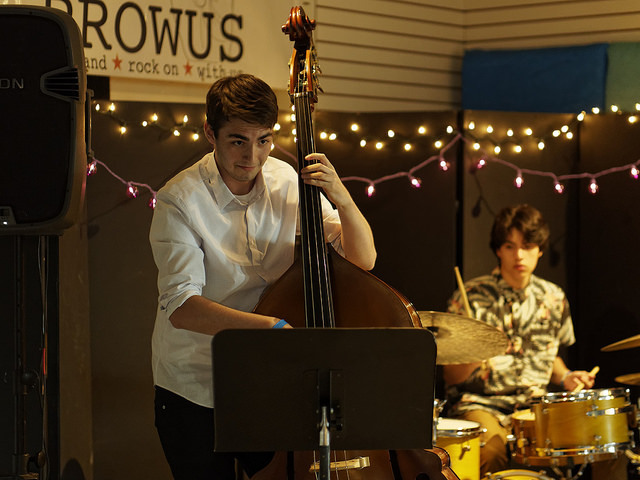 PROWUS is a non-profit , 501 (c) (3) organization that provides grants for music students age 8 – 18 in the greater Portland, Oregon metro area who are pursuing extra-curricular music education. Become a contributor to PROWUS. "Being able to create original music makes me feel unique and special. Writing music is one of the few things in life that gives me that feeling. Even better, I usually enjoy the music that my brother and I end up writing. I've learned so much about composition and performance on the electric bass and drums. Thank you PROWUS for giving me the opportunity to take music lessons"
"I really enjoy the feeling of creating something that is tailored to myself and how I feel. And the psychological strength it gives me is huge. In my lessons on guitar, keys, vocals, in theory and performance, I've been exposed to so many genres of music that have given me inspiration in my own musical compositions."